When we start a new relationship, we believe we have found happiness, and invest our emotions in that relationship. We need close emotional and physical relationships. for our emotional, mental and physical well being. Healthy relationships give us strength and make life worth living. But some relationships negatively impact our lives in many areas, destroying our relationships with family and friends. Destroying our emotional, physical and mental health. These are toxic relationships. Every relationship is difficult. And every relationship takes work. We have to learn to adapt and adjust to our partner’s personality and quirks, just as our partner has to adapt to ours. The dynamics in every relationship is unique. Some go smoothly, others are a bit more bumpy, but they are worth working for. Relationships can break up for many reasons. The relationship can go too fast too quickly, before one or both partners realize the other partner is not who the person they thought he or she was. There are many legitimate reasons relationships flounder. And in most relationship breakups there is a period of arguing and strife. But toxic relationships take this to a different level. These relationships contaminate your very being. The physical abuse can be seen and the injuries usually heal with time. But the emotional and psychological wounds fester in our soul. They are the deep wounds that really damage us. But unbeknown to the victim, this is how it was destined to be from the start. A healthy relationship is encouraging, gives vitality and energy, it is comforting, and above all else, a healthy relationship gives a feeling of safety and security. Whatever happens in the world outside our home, our relationship gives us that comforting security. A toxic and dysfunctional relationship, on the other hand, is dominated, on the one hand, by insecurity, uncertainty, stress, fear and anxiety, and on the other hand, by a narcissistic controlling and manipulative behaviour. This control can is both physical and psychological. The toxic partner is physically, psychologically and emotionally abusive. The danger of physical injury is clear, but the emotional damage caused is not so easy to see. 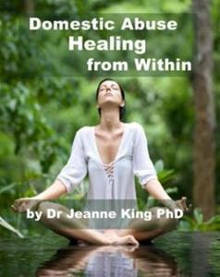 Constant stress without a safe base ends with real health problems, physical, mental and emotional. Often the partner who is on the receiving end of the manipulation does not always see that they are being manipulated. If the manipulation is increased gradually and the victim is isolated and starts doubting, the victim loses self-confidence and starts going into a self-depreciating spiral. It can take years to recover from a long-term abusive relationship. In any society, About 1 in 5 people are toxic. Some cultures are worse, some are better, but the threat is there in any society. Toxic people live normal, ordinary lives. We meet them every day. Starting a relationship with these people is easy, but it is difficult to get out, once your lives are entwined. They make their way through life seemingly OK. There is nothing about them that shows the trail of trauma and destruction they leave behind. Broken relationships with broken hearts may be bad enough, but they leave broken souls behind in their destructive wake. Knowing what to look out for when starting a relationship can prevent years of stress and bitter regret, years that should be filled with the joys of living in a loving relationship. If you are already in a toxic relationship, these signs will help you know if you need to get of your relationship. When we enter a new relationship, we bond. There is a deep connection. The pain of letting that love go feels like an amputation of the soul. It is painful. When a relationship turns toxic the current pain we suffer in the relationship seems less frightening than the pain of breaking that bond. In the beginning when we say we “love,” we are talking about feelings, the butterflies in our stomaches, the desire to be with our loved one. But when the relationship has turned toxic, then when we say, “But I love him/her,” we are talking about the soul connection bond we have with our partner. Domestic violence has nothing to do with anger. Anger is a tool abusers use to get what they want. 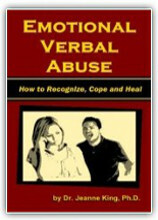 Abusers are in control because they can stop when someone knocks on the door or the phone rings; they often direct punches and kicks to parts of the body where the bruises are less likely to show; and they do not abuse when they become “angry”, but wait until there are no witnesses and then abuses the one he says he loves. Domestic violence is the leading cause of injury to women. More than 30 percent of hospital emergency-room admissions are women who have been abused. Domestic violence is the single greatest cause of injury to women in the United States. violent behaviors usually escalate in frequency and intensity over time. Studies show that most children are aware of the violence directed at their mother. Men who abuse their partners are more likely to abuse the children in the home. Domestic violence is the number one predictor for child abuse. Subjecting children to an environment full of violence and hateful words is not a good environment for a child to grow up in. No good father will do such a thing. How can one physically hurt the person one loves? Throw plates at the wall? Yes. Smash things on the ground? Better than at the wall? Hit the person one loves with one’s fist? No! Statistics show that if a spouse physically hits his/her partner, the chance of it happening again is very strong. A slap is bad. But there is still a chance the slapping spouse is as shocked as the slapped spouse. In these cases there can be true regret. But this must never happen again. A slap does not cause as much physical injury as a fist or a hard object, but it is a very serious red flag warning. Hitting with a fist is a reason to leave before you get seriously injured. Statistically it will happen again. Next time could be worse. Being hit with a hard object is likewise a reason to leave. Hitting with a fist or a hard object indicates a lack of inhibition, which the majority of people in all societies and cultures have. It is unusual for a person to hit another person with a fist or a hard object, or to hit a hard object with a fist (with the knuckles). Be careful of these people. We must avoid or get out of such toxic relationships. Can a Toxic Relationship be Fixed? The short answer is “No.” The Toxic partner has a serious flaw in their soul. The long answer is to understand why your partner is abusing you and how you can change his or her behaviour. The danger with this method is that a toxic partner might increase the pressure to keep control. And that can be life threatening. Leaving the toxic partner is the safest, and then when separated see if the partner wants to change. The toxic partner MUST want to change for HIS/HER own sake. Otherwise it is only an extended manipulation. IMPORTANT: If you do intend to leave your partner, do so with help, and be accompanied with a family member or a friend. 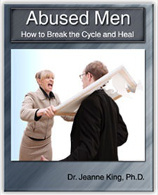 Most serious abuse incidents happen when the victim spouse is leaving. Note: We all show some signs of these behaviors. In all relationships there will, at some time, be passive-aggressive behavior, or we may manipulatively pretend helplessness, or trigger guilt. What sets these apart from a toxic relationship is the intensity, harshness, severity and persistence of this behaviour. Also: if the violence is the result of substance abuse, alcohol or drugs, then that is a reason to leave the relationship and stay separated until the alcohol or drug problem has been dealt with.